Florida property owners have thus far filed reportedly $2 billion in claims to their insurance companies seeking assistance for damage caused by Hurricane Irma. The storm was ranked as one of the most powerful to hit the Atlantic, and killed at least 33 people in the state of Florida alone. It is crucial that insurance companies are prompt in responding to hurricane claims, as the more time that passes without access to their homes, the more unnecessary costs they experience. Your level of protection largely depends upon what protection your state offers you. Yet, while the state of Florida’s two largest insurers—Universal Property & Casualty and State Farm—have indicated that they have plenty of resources to ensure that their clients are taken care of after the storm, thousands of people in Florida are reportedly being told that their insurance policies will not cover the losses they sustained, indicating that they may have a fight ahead of them in getting the protection they’ve already been paying for years. Frequently, policyholders are told that they have no coverage if their damage was caused by flooding, specifically. Coverage also tends to be hampered if the damage is due to both winds and flooding, combined. 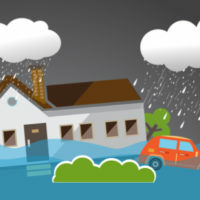 Because flood insurance is not included in most homeowner policies, some are required to have it, however, floods caused by hurricanes affect more land and homeowners than typical, expected floods, leaving homeowners in a bind. Seek the assistance of the Florida Department of Financial Services, Division of Consumer Services for assistance with any claim. The law also provides advice regarding what contractors you work with and in working with your insurance company before entering into any contracts for repairs or assigning policy benefits. At HD Law Partners, we are dedicated to serving hurricane victims with their property insurance claims. 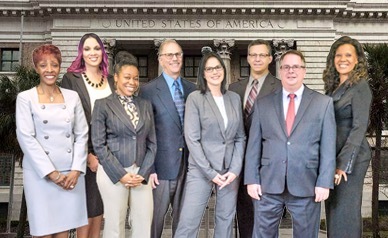 We have decades of experience litigation insurance coverage disputes throughout the state of Florida. We can assist you in formulating an appropriate strategy for ensuring that you and your family are protected. Contact us today.